Most fathers know the importance of putting their young children in car seats to keep them safe while on the road. But a new national poll has found that once kids get a little older, use of mandatory booster seats sharply drops. "I don’t think it’s surprising to find that kids 7 to 8 aren’t using safety seats any longer" said emergency room pediatrician Dr. Michelle Lea Macy. "Parents may think their child is too big to put in a booster seat or that booster seats are baby seats. Laws about booster seat use came into play in the last decade, so parents talking to other parents about what’s safest for their child may not be getting the right information. Using a booster seat until 4-feet-9 is ideal." All 50 states have some type of child safety seat law, 28 of which require kids to use child safety seats or booster seats through age 8 to reduce the risk of injuries in car crashes. 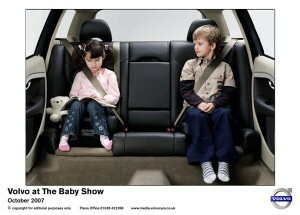 Experts say parents should know that seatbelts were designed for adults and do not sit properly on children. Booster seats lift the kids up enough so that the belt fits properly and can better protect them from injury if there’s an accident. Fathers should talk to their children’s pediatrician for more information on their state’s laws regarding booster seat use and other ways to keep kids safe in the car.